The Adidas brand of sneakers that is built for lightweight basketball play. 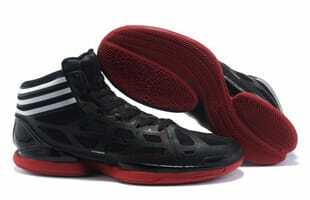 The sneakers have many different models the most popular being the shoe worn by reigning MVP Derrick Rose. Kicks of the Day: adidas Adizero Prime Boost "Reflective"
adidas adiZero Rose 2.5 "St. Patrick's Day"
adidas adiZero Rose 2.5 "All-Star"
adidas adiZero Rose 2.0 "Wolverine"